If only they had chosen a great title for this agreement to bear. Something like “Because we trust in Germany’s power”. This was the headline for the new beginning with Gerhard Schröder, after 16 long years under a Helmut Kohl government. Back then the coalitioners did not want to change the world but they wanted to change the country fundamentally, they wanted an awakening instead of a gridlock. Some things indeed worked out well back then. 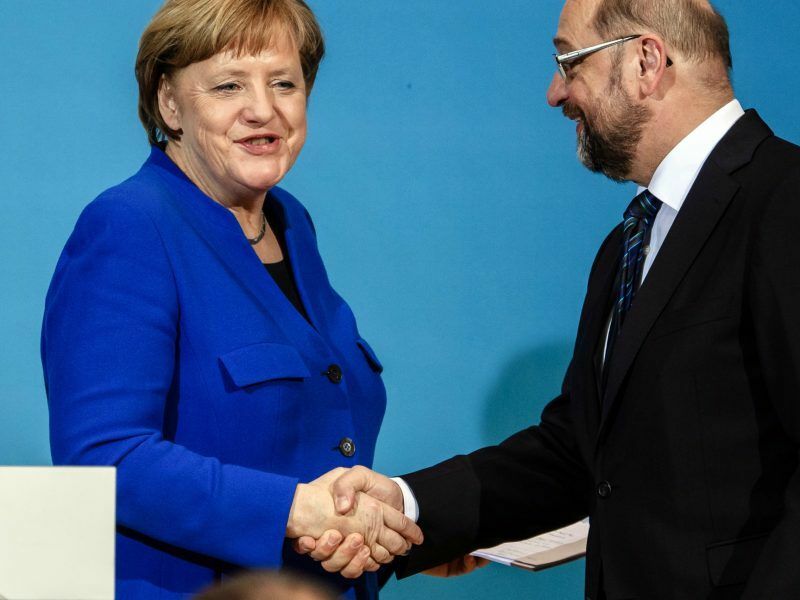 The current agreement, which even Angela Merkel calls “small-scale” – and she is the master of dismantling problems beyond recognition – is not a sign of trust in Germany’s power for renewal. But the agreement rather shows that they mistrust each other, the Blacks [CDU/CSU] and the Reds [SPD] – and their party members as well. Why else would everything have to be defined in such detail, even to the third space after the decimal point? This fatally reminds us of disarmament negotiations or even the negotiations to ease tensions between the two German states, when Chancellor Willy Brandt was still talking to Leonid Brezhnev. The agreement can be seen as a retro-event, framed by the GroKo [Grand coalition] doctrine of strict adherence to the things once agreed. Of course, it is not as if the paper, or rather the many pages, is lacking in substance. Care, family, employment, education – all that is good. That it could not be implemented in past government actions, speaks volumes. No framework agreement and then smack, the rest will be decided when the time comes – no, the reality in the country has to adapt to the plan and not the other way round. Ironically spoken: that much socialism always works, right? But it’s just as well that the country had to wait so long for it, because that only increases the joy at the fact that it is finally over, for now. Although: That is again just one of those hopes. Because with its achievement, the SPD is indeed not out of the woods yet. The party members decide, and after there was a run for membership, it is no longer certain that the outcome of the negotiation will survive. At this point, it could be more fashionable to vote against the GroKo than for it. Especially since the party base, in addition to astounding success, when it comes to content and to the ministries, also has a lot to swallow – with both content and positions in government. Schulz is the most prominent example. Having him as foreign minister, that is not a sure-fire success; even if he gives up the post of SPD leader for it. And because it looks like it was dealt on the sly again, the members could finally find that enough is enough. There are certainly opportunities for resistance. 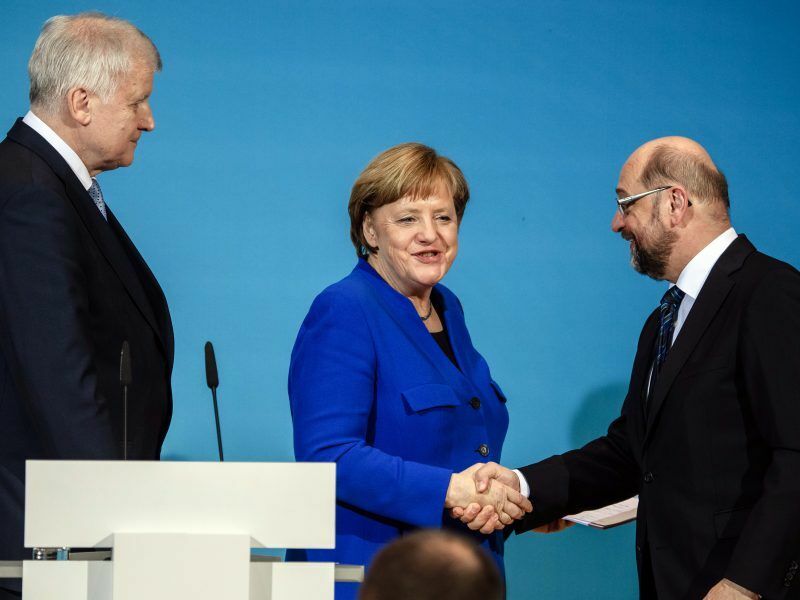 Either the party base rejects the GroKo agreement – or it rejects the successor solution for the party leadership with Andrea Nahles. Which means: after the coalition negotiations come new coalition negotiations – in this case, the internal ones. On the other side stands Angela Merkel. Radiant winners look different. The ministry of economy going to Peter Altmaier [a close Merkel ally] does not outweigh the fact that the finance and interior ministries are lost. You can hardly imagine a higher price. Or is it? One needs to wait. 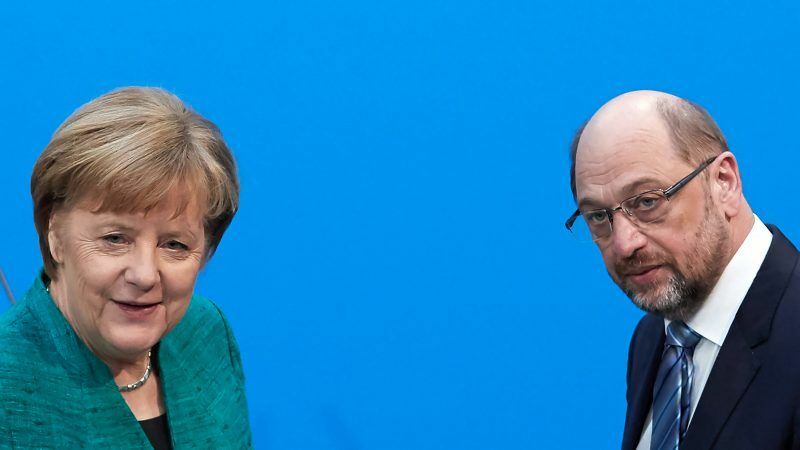 Merkel knew that it would be painful. For the incumbent Chancellor, it can become even more painful over time. To do sixteen years, like Kohl did, there is still a long way to go.